The number of individuals in a population will increase and decrease due to natural and human factors. Natural fluctuations in population size occur due to factors such as food availability and the number of predators. Humans can cause population sizes to change by introducing invasive species, hunting or changing the environment. A healthy ecosystem, with high biodiversity is important in helping reduce the effects of these factors on a particular species. Density-dependent factors have varying impacts according to population size. Different species populations in the same ecosystem will be affected differently. Factors include: food availability, predator density and disease risk. Density-independent factors are not influenced by a species population size. All species populations in the same ecosystem will be similarly affected, regardless of population size. Factors include: weather, climate and natural disasters. High biodiversity can help to stabilise an ecosystem and reduce the overall impact of density-dependent and density-independent factors. Biodiversity is a measure of the difference between the living organisms within an ecosystem. With many endemic species and a great range of wildlife, Galapagos has a high level of biodiversity. This is due to the number of very different habitat zones found in Galapagos, and also due to more acute environmental differences between the habitats of each island. Biodiversity is an important factor in ensuring a healthy ecosystem. For example, an ecosystem with a wide range of producers will provide the primary consumers with a stable and varied food supply. Each species also plays a unique role in servicing the ecosystem, ensuring that it operates smoothly. Ecosystems with a high level of biodiversity are more able to recover from disasters, whether natural or man-made (anthropogenic). A fluctuation in the size of one species population can impact on other species within the ecosystem. 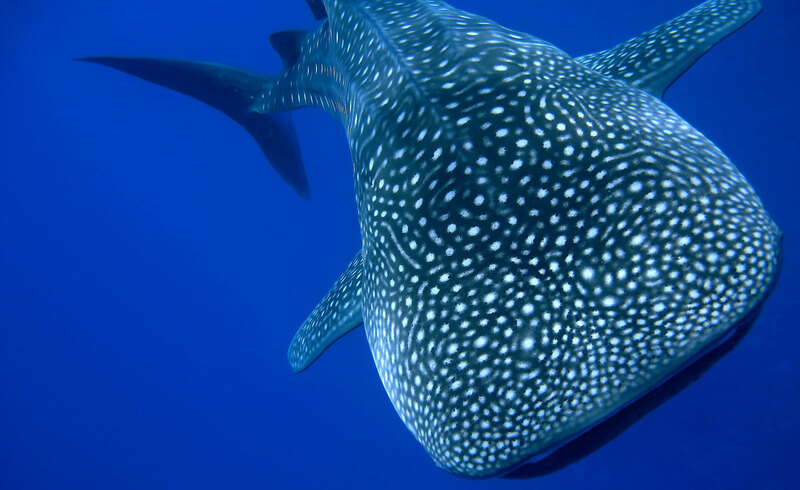 A species that will have a large impact on the ecosystem is known as a keystone species. The more biodiverse an ecosystem, the less vulnerable it will be to fluctuation in keystone species populations. The Galapagos giant tortoise is a keystone species and its population has declined as a result of human activity. During the 18th and 19th centuries, whaling ships would stop at the Galapagos Islands and hunt giant tortoises to feed their crew. Giant tortoises continued to be targeted as the Islands’ settlements expanded and the human demand for food increased. Their population was estimated to be around 250,000 in the 1500s, when they were first discovered. However, a 1974 census recorded just 3,060. Research suggests that 13,000 giant tortoises were taken from the Islands between 1831 and 1868 by whaling crews. 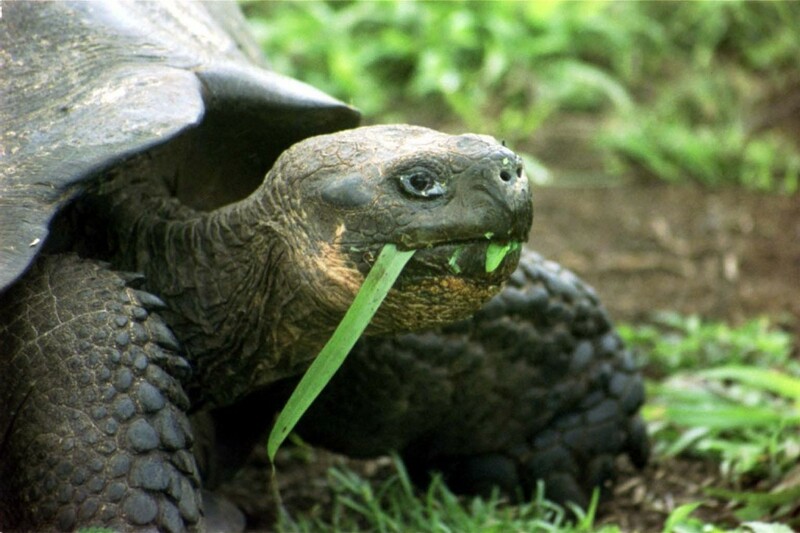 The decline of the Galapagos giant tortoise population impacted on Galapagos ecosystems. Even plant and animal species directly unaffected by human activity began to experience great population change. Galapagos giant tortoises shape their habitats by grazing on plants, dispersing plant seeds and trampling areas of vegetation. They therefore play an important role in germinating seeds, as well as in thinning out and opening up new areas of ground for different types of vegetation to grow. Without the giant tortoises constantly changing the environment, a few fast-growing plant species could dominate a much less biodiverse ecosystem.